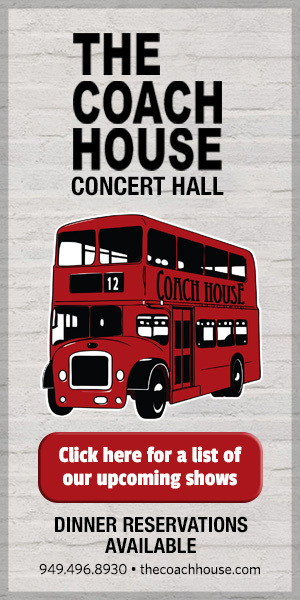 CoastLines: Murals, Murals on the Walls, What’s Fairest Way to Paint Them All? Once upon a time, a modern remake of a classic Pablo Picasso painting adorned a controversial mural at the top of Avenida Del Mar. File it among “things you can no longer see in San Clemente.” In the image, two ladies were exuberantly prancing on a beach, and, oops, something popped out of their dresses. 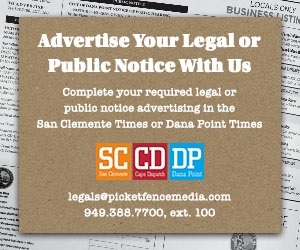 The city and the Downtown Business Association got complaints. Afterward, the artist felt remorse for having “cow-towed” to the “very few” people he figured had any problem with his re-creation of the Picasso. Passersby who saw him covering the exposed breasts were disappointed, he said, even angered. Evidently, the original Picasso image was a little too happy for some. Type in “Picasso Two Women Running on the Beach” online. See if you find the 1922 image titillating. My guess is you won’t. 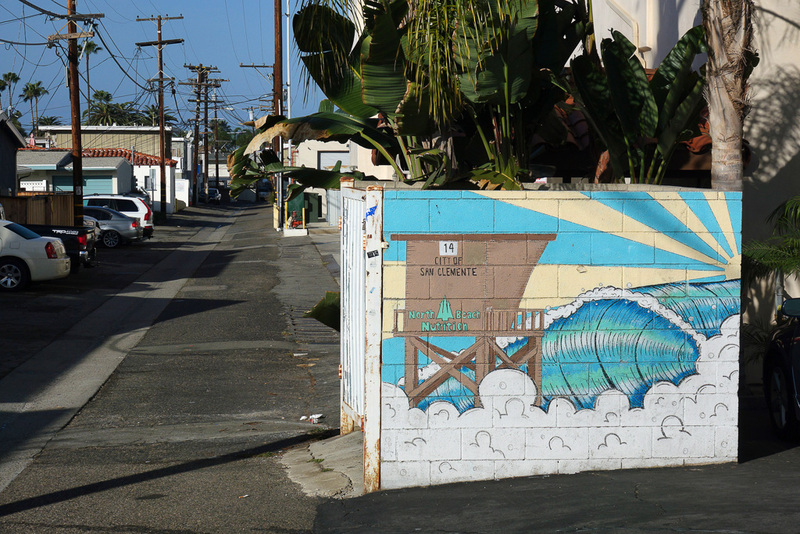 Since then, a remarkably healthy, robust culture of mural art has emerged in San Clemente. Some of my favorites are tile scenes spanning walls at the entrance to the pier, multiple history-based “Tiles on Del Mar” beside downtown benches and a butterfly mosaic on the Mariposa Beach underpass. Other favorites include murals that volunteers painted as part of a three-year, city-sponsored program (2012-14) to decorate drab, industrial-looking traffic signal-control boxes at 16 intersections. I recently drove past all of them to see how they are doing. At passing glance, they all looked very nice. Graffiti vandals appear to have left them alone. Three of my favorites are Meghann Nelsen’s classic cars at the corner of Palizada and Estrella (check out all four sides), Ashley Keene’s “Sunset at Trestles” along Calle del Cerro at Vista Montana and a splash of surf art at the entrance to San Clemente High School, painted impressively in 2012 by Jackson Hinkle, then 12 years old. All the decorated utility boxes look bright and fresh today. San Clemente artist Jeff Lukasik brightens up the Los Molinos industrial district with this mural on the wall of his building. Privately painted murals on business buildings also abound. I particularly like how a beach mural, painted years ago on a concrete trash enclosure outside North Beach Nutrition, continues to brighten up an alley. 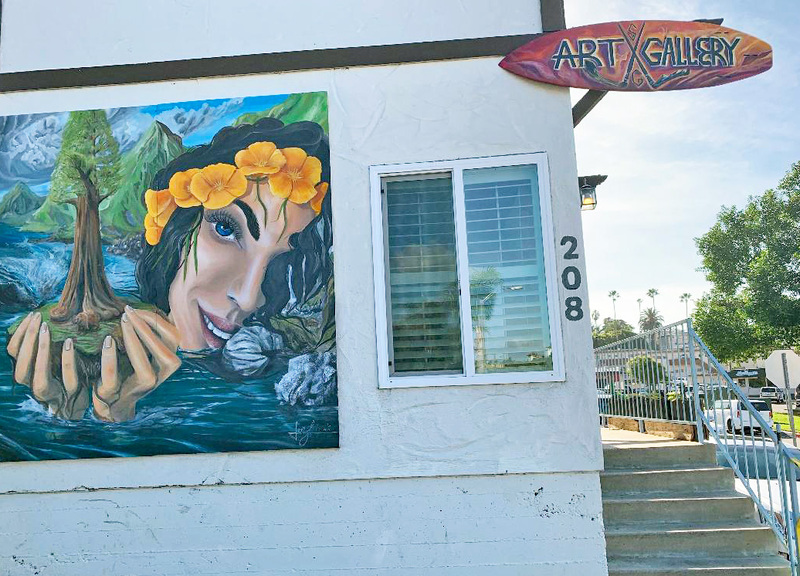 Driving by local artist Jeff Lukasik’s studio on Calle de los Molinos, you can’t help but smile as you gaze at the lovely smiling face he has gently placed on the side of his building in San Clemente’s industrial district. 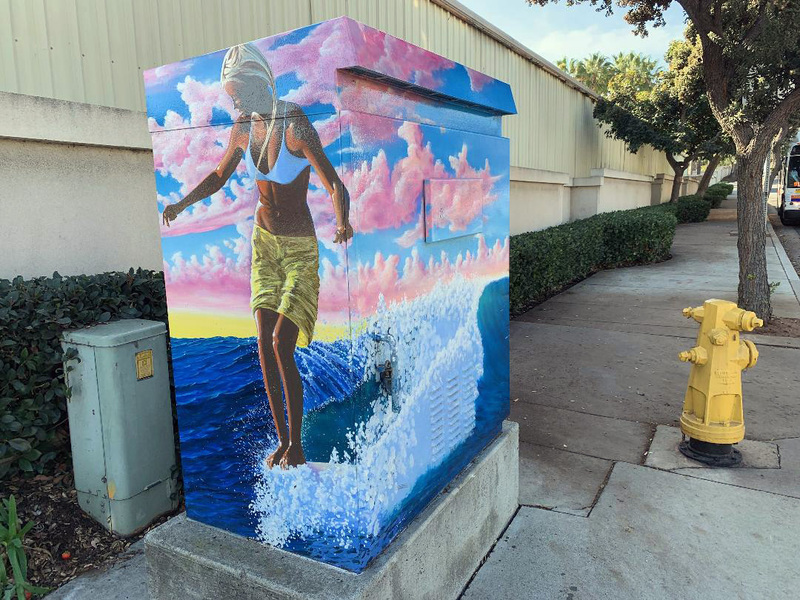 One of the biggest, longest-standing business murals in town is Stewart Surfboards’ surreal seascape along South El Camino Real. 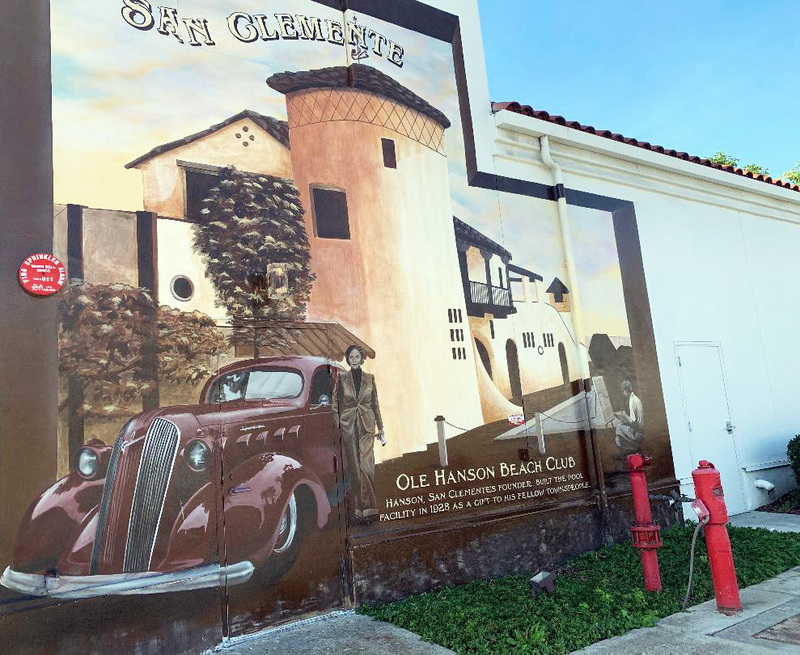 Another favorite is on the wall of the former Hanson’s Market on Avenida Pico, depicting the Ole Hanson Beach Club during its first decade. When the grocery store closed, the wall was painted over—oops—but then allowed to be re-created by popular demand. There are plenty more opportunities for public art. In October 2017, the City Council enacted new policies governing art on city-owned facilities. 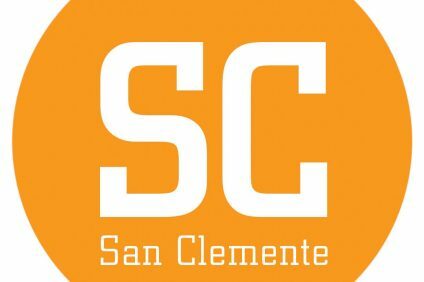 Visit www.san-clemente.org to learn more. I’m surprised no one has scooped up the opportunity to animate a blank south-facing white wall on the city’s restroom building at North Beach. There must be a lot of wannabe modern-day Picassos out there, brimming with ideas for that wall. Be nice, now! 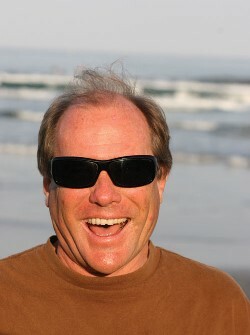 Fred Swegles is a longtime San Clemente resident with more than 46 years of reporting experience in the city.